Broke and jobless after graduating from university, Arthur Pender and three friends turn to kidnapping to survive. Their strategy: work quickly, demand low ransoms, and always keep moving. It works perfectly, until they kidnap a Detroit mobster who somehow winds up dead. Suddenly, Pender and his gang find themselves pursued by two opposite factions: the law, in the form of veteran state investigator Kirk Stevens and hotshot FBI agent Carla Windermere, and an organized crime outfit looking for payback. All three groups criss-cross the country, playing a terrifying game of cat and mouse that leads ultimately to an explosive and brutal conclusion. Please tell us a bit about your amazingly well-reviewed first book THE PROFESSIONALS. Sure. 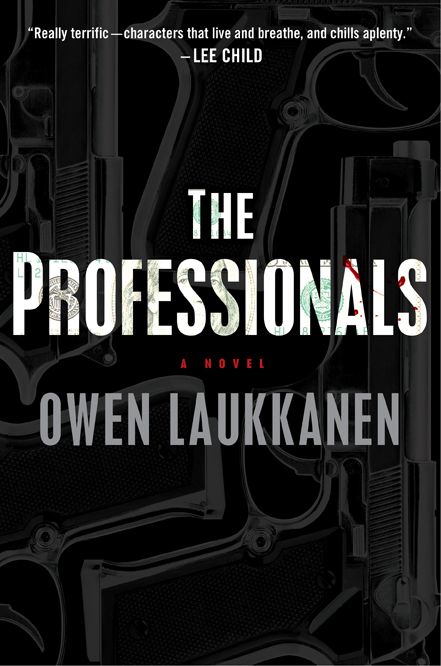 THE PROFESSIONALS is a thriller about four recent college graduates who turn to kidnapping when they can’t find real jobs. Led by ringleader Arthur Pender, they devise a relatively low-risk strategy for their scores: they kidnap wealthy businessmen for low ransoms, aiming for volume rather than one lottery-ticket payday. And they move around the country, picking a new city with every score. It works out for a while…and then it doesn’t. Into the mix come two dangerous adversaries—the law, in the form of veteran state investigator Kirk Stevens and hotshot young FBI agent Carla Windermere, and an organized-crime outfit looking for payback—and with cops and criminals in hot pursuit, suddenly Pender’s genius idea doesn’t look so smart after all. John Lescroart praises your ‘terrific new voice.’ Obviously, voice is what really drives a book. Did the voice for this story come naturally, or did you have to search for it to fit mood, story or character? It’s funny, immediately before I wrote THE PROFESSIONALS, I was working on a very hardboiled poker mystery told from the point of view of your standard wisecracking private detective. And I really worked to get my detective’s voice right, such that when I started to write THE PROFESSIONALS, I consciously tried to tone down the voice and write the novel in as straightforward a style as possible. That said, I wrote THE PROFESSIONALS from the point of view of its characters. It’s told in third person, but each chapter tends to follow a character, and we’re privy to a lot of their thinking, which I think informs the voice. You have a fascinating bio that must help to inform your work. The blend of a writing degree with commercial fisherman and reporter for a poker website sounds unique. Have both the academic and real-life aspects of your own background helped you to create these characters? Definitely. Many of the characters are modeled either in whole or in part after people I know; Pender and his gang, in particular, are based on good friends of mine in the poker world. Beyond that, I think that poker and fishing both exposed me to people who are willing to take chances (sometimes to the extreme) to live the lives they want to live. It’s probably not a coincidence that Pender comes from a family of fishermen; fishermen and poker players generally dream big, and often take big risks to pursue those dreams. Ironically, the Creative Writing department at my University explicitly forbade students from writing genre fiction for class. I had a great time pushing the limits of that rule, but I think that as a developing writer, it was really beneficial to me to work from a literary background. 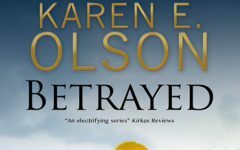 I liken it to playing hockey as a kid: I always wanted to be a goalie, but my parents made me play forward for a couple of years to learn the fundamentals, and that training really helped when I did move back to the net, just as learning from some really talented literary fiction writers helped me when it came to write a thriller. Your title is intriguing–who are the professionals, the “good guy cops” or the “kidnappers”? Is the title ironic? I really didn’t intend for the title to be ironic, but I had the title in mind before I knew how the book would unfold, so maybe it turned out a little more ironic than I had intended. Really, the concept of professionalism is what drives Pender to kidnap in the first place. He believes that criminals fail because they get greedy, or careless, or they fail to keep their emotions in check, and that was a theme I wanted to run with in the book, not just for criminals, but for Stevens and Windermere, too. There are sacrifices to be made on the road to success, I think, and true professionalism comes from being committed enough to make those sacrifices, even when you’d rather not. Your basic premise is scary because it seems all too possible in this screwed-up world. Then, of course, you keep upping the ante. (Yep, poker talk.) Especially the cross-country chase seems page-turning. Did you actually visit the places to which you take your on-the-run hero? I’ve visited many of the places I wrote about ( Detroit , Chicago , parts of Florida ), but not all. When I was working in the poker industry, my job took me to a lot of small towns all over the United States; I spent a lot of time in generic motel rooms and on planes, which might be why there are so many plane rides and cheap motel rooms in the novel. For the places I wanted to write about but hadn’t visited, I spent a lot of time scouting neighborhoods on Google Maps. Street View is really a godsend. Can you tell us a bit how you work? Plan ahead? Let it grow as it goes? Where did you get the frightening premise for this story? The premise came from a TV show I was watching about kidnapping in the developing world, and how there are groups of professional kidnappers who make their livings holding people for ransom. I started thinking about how such an outfit would work in the United States, and Pender’s high-volume, low-risk scheme was what I came up with. Everything in the book sprung from that single idea. I’m utterly unable to plot out a novel before I write it; I sat down to write THE PROFESSIONALS with the notion that this band of kidnappers existed, and somewhat arbitrarily, I set the first score in Chicago. When it came time to introduce the kidnappers, I invented Arthur Pender and his struggle to find a job, and I knew the police would be involved, so at a certain point I created Kirk Stevens, and then Carla Windermere. The way the novel unfolds on the page more or less mirrors my thought process; I generally start with an idea and let the story go where it wants. This, incidentally, proved to be a little sticky, in that I hadn’t intended to write a series featuring two Minnesota cops until I signed the book deal with Putnam. My working knowledge of the Twin Cities was a bit vague at the time, but I’ve since been lucky enough to make a lot of friends there, and now I have plenty of excuses to go back and research. What are you working on now? I was glad to see that there are continuing characters in the next book. I hate getting totally into a character(s) and then losing them. So are you writing a series? I am writing a series, yes. It features my two cops, Minnesota Bureau of Criminal Apprehension investigator Kirk Stevens and FBI agent Carla Windermere. Like I say, I hadn’t planned to write more than one book with those two, but I really welcomed the opportunity. I found it a lot of fun to dive back in and get to know them again, and I had a great time expanding their characters (especially Windermere’s) in the second book. Right now, the second book is in the editing stage, and I’m working on the first draft of a third book in the series. With any luck, I’ll be writing about Stevens and Windermere for years to come. The process has been very, very fun. I found the process of finding an agent quite soul-crushing, though I was lucky enough, ultimately, to land with my first choice in the wonderful and talented Stacia Decker, and I was similarly lucky in that I only had to spend three nail-biting weeks on submission. After that, it’s been an amazing experience. There’s no way, as a debut author, I could have dreamed I’d wind up with a publisher like Putnam and an editor like Neil Nyren, with the kind of blurbs I’ve received and the publicity push that Putnam’s given me. I’m extremely fortunate, and I still feel like I’ve won the new author lottery. There’s some pressure that goes along with it, obviously; I found the writing the second book more challenging simply because Putnam had invested those resources in me, but in every way, this process has been a dream come true. I love working with Neil, and I’m really enjoying the opportunities that being a Putnam author has afforded me. I know I’m very lucky to have landed here. Broke and jobless after graduation, Owen Laukkanen answered a Craigslist ad – and for the next three years, he was the tournament reporter for a poker website, travelling from the luxurious casinos of Monaco and Macau to the sketchiest card rooms of Atlantic City. A resident of Vancouver, he is now at work on a second book featuring Stevens and Windermere. To learn more about Owen, please visit his website.